Listing courtesy of Gold Coast Real Estate Inc..
Diamond Head Apts Ltd Bldg. Diamond Head Alii Corp Bldg. Listing courtesy of 20 Degrees North Real Estate. Diamond Head is one of the most iconic images of Oahu, and the properties located along the slopes of this volcanic crater were once home to Hawaiian Royalty. Now, the communities of Diamond Head, Noela Drive, Black Point, and Royal Circle are among the most coveted and sought-after locations in Hawaii. flowers, vegetables and prepared foods every Saturday morning. 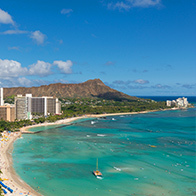 Due to Diamond Head's exclusive and upscale reputation properties here tend to always be in high demand. Contact our Diamond Head Specialist or Call 808.971.7711 to learn more about Diamond Head, Black Point, and Royal Circle real estate.